The complexity of the human body requires medical practitioners to have an astute working knowledge of anatomy and physiology. It’s no surprise then, that pursuing a degree in medicine is challenging and costly pursuit! One of the most enigmatic and challenging regions of the anatomy to diagnose is probably the spine. To diagnose problems with the lumbar (lower region) of the spine, a doctor will lay a patient flat on his/her stomach (to achieve what’s called a lordotic spine shape). The doctor will then use the pisiform (bony region at the bottom of the wrist) to apply pressure to each of the lumbar vertebrae. By feeling how the vertebrae respond, the stiffness and how far they move, an experienced doctor can diagnose problems. In case you can’t visualise that, check out this demonstration. To become competent at this takes time. In fact in medical circles it’s seen as a skill that takes years of practical experience, rather than something that can be picked up in an three hour workshop… But back problems are becoming pretty commonplace, especially with our increasingly sedentary lifestyles, so this is not a skill that should be in short supply! But why is it such a difficult skill to acquire? Well, currently medical students learn to diagnose spinal problems by practising on lifeless, unrealistic plastic models. That is, pushing down onto plastic vertebrae that don’t move or feel anything like a real spine. Following this medical students will then continue to try it out on each other. But, how can you teach students exactly what, for example, a degenerated disk feels like? Short answer, you can’t learn the realistic feel of it without trying it out on a real patient. Not only that, how can a professor teach his students how fast or hard to press down on the spine, without knowing exactly how hard or fast a student is applying pressure? The crux of this problem is that we’re currently using ‘low tech’ to teach this method. This project involves using some simple, low cost technology to create a spinal emulator, that a student can use to learn this method by simulating both a healthy and an unhealthy spine. 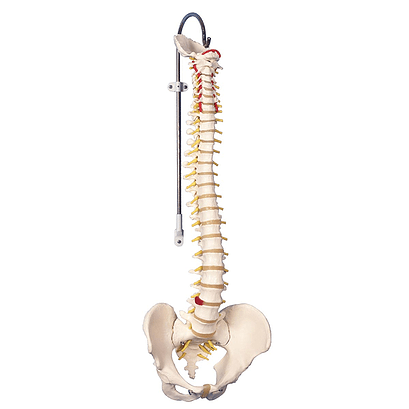 At the top of this model are five lumbar spine vertebrae, the sacrum and the coccyx. Four of the lumbar vertebrae are mounted on flexible metal bars to provide passive “springiness”. But one of the vertebrae (Lumbar 3) is not. This vertebrae is mounted onto a linear actuator (basically a motor system that can move up and down – it’s the black thing in the design above). Underneath the linear actuator is a load cell, a sensor that can measure force. So we have a system where one of the vertebrae can be electrically moved, and the pressure applied can be sensed. Hopefully you can see where I’m going with this. We can use some embedded electronics to move the vertebrae up or down, according to the amount of pressure being applied to it. With some control algorithms, we can essentially simulate what a real vertebrae would feel like, by simulating a force-displacement ratio (stiffness ratio). We can go further, and simulate varying stiffness profiles to correspond to specific spine problems. In other words we can, in theory, simulate any spine problem in theory. Why are we only simulating one vertebrae? Simple answer: cost. This is just a prototype, our budget is small, so it’s a proof of concept. 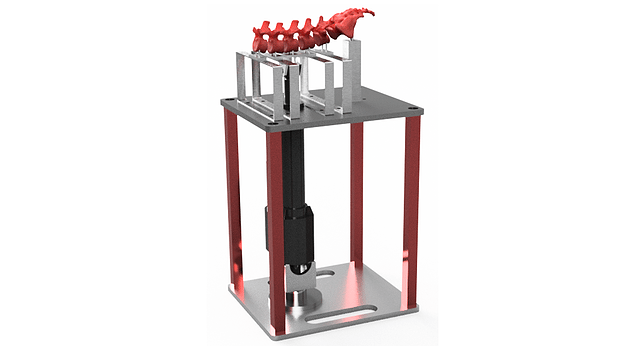 If it works we’ll be looking to create a fully actuated spinal emulator. Hopefully. But the real value of the system will be in how well it can simulate the real feel of a human spine. And that depends a lot on the algorithms I use… Seems I’ll need to learn the method before I can even attempt creating software to simulate it – any volunteers? Josh is an electronics engineer with a passion for robotics and control systems. 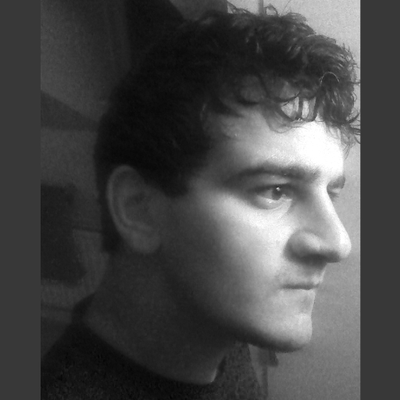 He is currently working on a range of projects at Manchester University before embarking on a PhD.